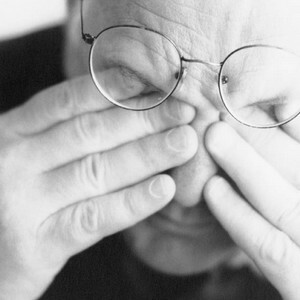 Panic attacks can occur at any time, even during sleep. An attack generally peaks within 10 minutes, but some panic attack symptoms may last much longer. If you are having a panic attack, most likely your heart will pound and your hands may tingle or feel numb, and you might feel flushed or chilled or you may feel sweaty, weak, faint, or dizzy. You may have nausea, chest pain or smothering sensations, a sense of unreality, or fear of impending doom or loss of control. You may genuinely believe you're having a heart attack or losing your mind, or on the verge of death. Who does panic disorder effect? This affects about 5 million adults in the UK and the US and is twice as common in women as in men. It most often begins during late adolescence or early adulthood. Risk of developing this disorder appears to be inherited. Not everyone who experiences panic attacks will develop the disorder - for example, many people have one attack but never have another. For those who do have the disorder, though, it's important to seek treatment. If left untreated, the disorder can become very disabling. Many people with this disorder visit the hospital emergency room repeatedly or see a number of doctors before they obtain a correct diagnosis. Some people with this disorder may go for years without learning that they have a real, treatable illness. Basically, these people avoid any situation in which they would feel helpless if a panic attack were to occur. When people's lives become so restricted, as happens in about one-third of people with this disorder, the condition is called agoraphobia. Early treatment can often prevent agoraphobia. Panic disorder is one of the most treatable of the anxiety disorders, responding in most cases to carefully targeted anxiety management programmes.